By hiring qualified technicians to provide to pressure washing of the outdoor areas in your property you will get best results. We can offer you our professional jet washing services available in Cricklewood which will make your property look better. Stains, moss, weeds and dirt will be removed from the pathways, pavements, driveways and tiles. Our cleaners are supplied with powerful and modern jet washing machines that work under pressure and ensure great results. They will remove the paint splatters, graffiti and grime from your external walls and garage doors. 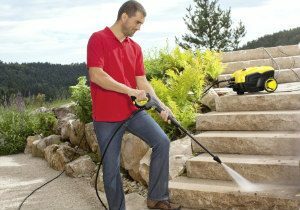 Our cleaners are certified and know how to work effectively and safely with jet washing machines. They use professional equipment for sanitising and hold the necessary insurances and certificates to do their work properly. After close inspection of the surface, the operatives prepare a quote to the customer to approve. They carry out the pressure washing on the most convenient to the customer day and time during the weekdays or weekends. 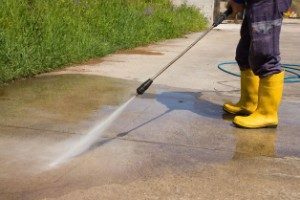 Our jet washing services can be used by the residents who live in Cricklewood, NW2 to restore the cleanliness of their outdoor areas. Use our call centre to specify your requirements and get a no-obligation free quotation. Pavements, patios, swimming pools, playgrounds, external walls and other outdoor surfaces need professional cleaning every once in a while. To obtain best results use our brilliant jet washing services which we implement in Cricklewood to holders of business and residential premises. The machines we use ensure comprehensive removal of the mould, stains, weeds, moss and soiling without residue. Our staff apply hot or cold pressure washing which eliminates dirt, stains, moss, lichens and even graffiti from walls, tiles, slabs and decks.